Two touchscreens make for minimal physical buttons and a technology-focused design philosophy gives the Range Rover a forward-oriented appeal. Land Rover is all set to upgrade the infotainment system in Range Rovers, and the new infotainment setup takes cues from the upcoming Range Rover Velar to provide a lot of technological elements inside the car. The new system uses two touchscreen panels - hence the name Touch Pro Duo, and is being upgraded from the present InControl and InControl+ infotainment systems that are being used across Jaguar, Land Rover and Range Rover line of cars. The biggest change for the new infotainment system is its increased reliance on the touchscreen interface and lack of physical buttons. Two screens, placed in vertical axis on the central console, will provide all the information and settings that you would need to access. Of the two displays, the one at the top will be in landscape orientation, while the bottom panel will be in portrait. Each provides effective screen size of 10.0-inch, which would provide ample real estate for comfortable touch-enabled usage. The top screen will relay music and entertainment services, along with smartphone connectivity, rear parking sensors and camera, and satellite-enabled navigation services. The bottom screen, meanwhile, wraps the glass around the air conditioning knobs which also fuse the digital temperature display into the LED display, hence enhancing aesthetics as well. 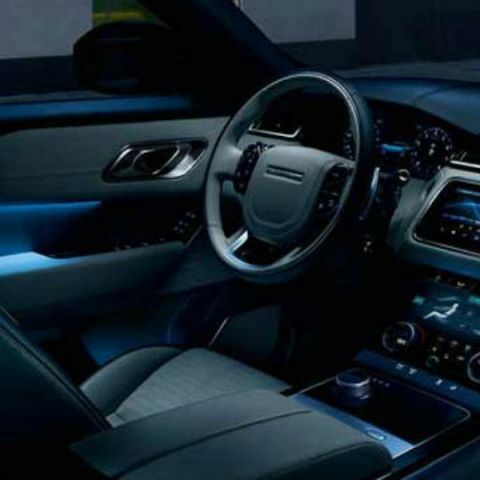 From what it seems, the secondary display will give access to driving dynamics including the multiple driving modes in a Range Rover, specific suspension, axle and wheel adjustments based on terrain, preset terrain modes, climate control, seats (including memory and ventilation functions), and vehicle settings that include ambient lighting, exterior lights and mirrors, and other input and audio settings. The new Touch Pro Duo system will replace the InControl+ single-screen infotainment setup that was in use so far across Land Rover’s offerings. 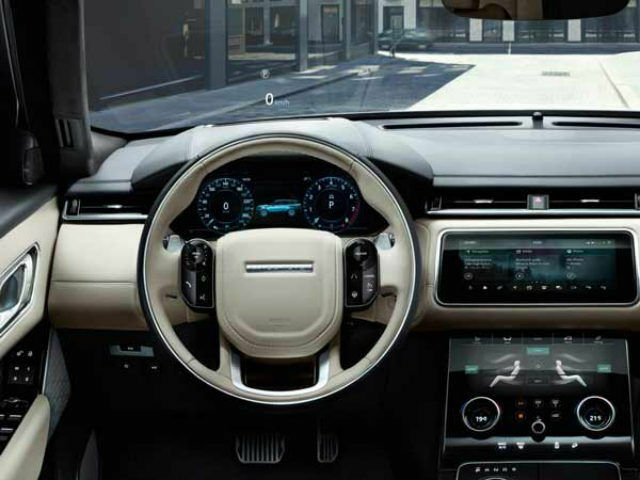 The entry-segment Land Rover Discovery Sport uses the basic InControl infotainment system that has seat and climate controls, along with support for third party applications and an added layer of security with ‘Valet Mode’, something that a number of premium automakers miss out with infotainment consoles. The new Touch Pro Duo is expected to improve on the number of features, looking at how Range Rovers have steadily improved in terms of the technology they offer. Some of the added technological elements that Range Rovers will come with include smart boot opening, where you can gesture with your foot at the bottom of the car to open the rear. The company also has a semi-automatic driving mode that includes advanced parking, where the car uses its sensors to gauge parallel and perpendicular parking spots, and let the algorithms take control of the steering wheel. This is an essential feature in the Range Rover SUVs to get out of tight parking spots, and the new infotainment system is expected to improve on it further. The new Land Rover Touch Pro Duo infotainment unit is expected to make it to future Range Rovers by 2018, following the commercial introduction of the Range Rover Velar later this year. The flagship Range Rover lineup is also expected to get displays larger than 10-inch ones, seeing their more premium market placement. The shift from tactile to touch interface in Range Rovers will also be an interesting transition in terms of the overall experience, and add more sophistication to some of the best off-roaders ever made.